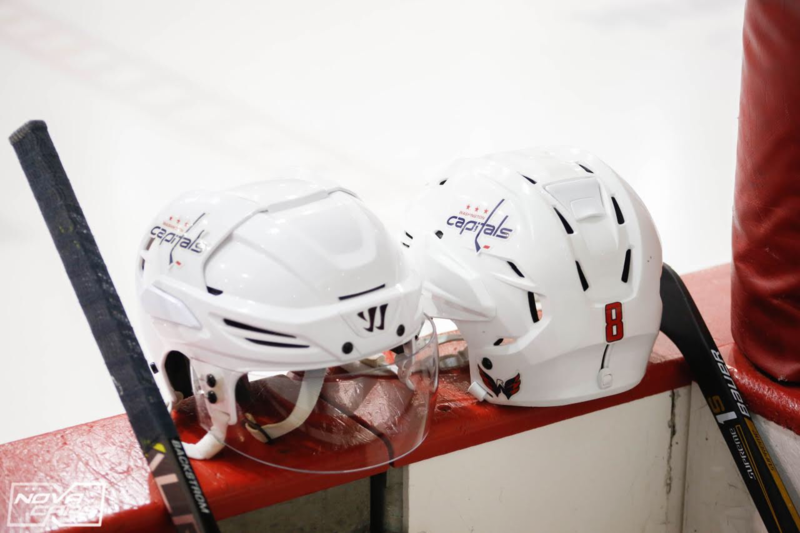 The Capitals we’re back to work Sunday morning at MedStar Capitals Iceplex as they continue their lengthy five-day hiatus between games. They next host the Vegas Golden Knights on Wednesday night at Capital One Arena. The Capitals will have the day off on a Monday for a team building event and return to practice on Tuesday. Here are the news and notes from Sunday’s practice. As we mentioned in yesterday’s practice report, Capitals defenseman Michal Kempny returned to skating with the team on Saturday, but was practicing with a (light blue) non-contact Jersey. Kempny sustained a concussion in a preseason game against the St. Louis Blues on September 25 (here). Kempny doesn’t remember the Bortuzzo hit. On Sunday, Kempny practiced in a normal (full contact) jersey, indicating Kempny is potentially close to returning to the lineup. Brooks Orpik, who took a maintenance day on Saturday, also returned to practice today. And finally, have you raised your banner yet? This entry was posted in News and tagged Brooks Orpik, Capitals Practice, Jon Sorensen, Michal Kempny. Bookmark the permalink.